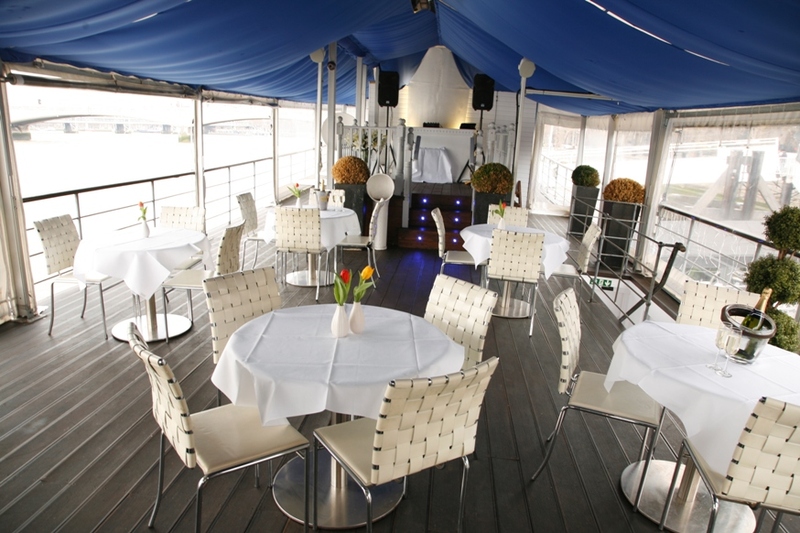 The Yacht London, a renovated 1927 steam yacht permanently moored at Temple Pier on the Thames’ Victoria Embankment, is offering ringside seats to the historic Royal Diamond Jubilee Flotilla, taking place in the afternoon on Sunday, 3rd June. Watched by millions around the world, over one thousand boats manned by 30,000 spectators will sail up the river behind the Royal Barge, all within 200 feet of The Yacht London. Presentation on ‘Royal Etiquette’ by a former butler who gave 33 years of service to Her Majesty and the Royal Household. 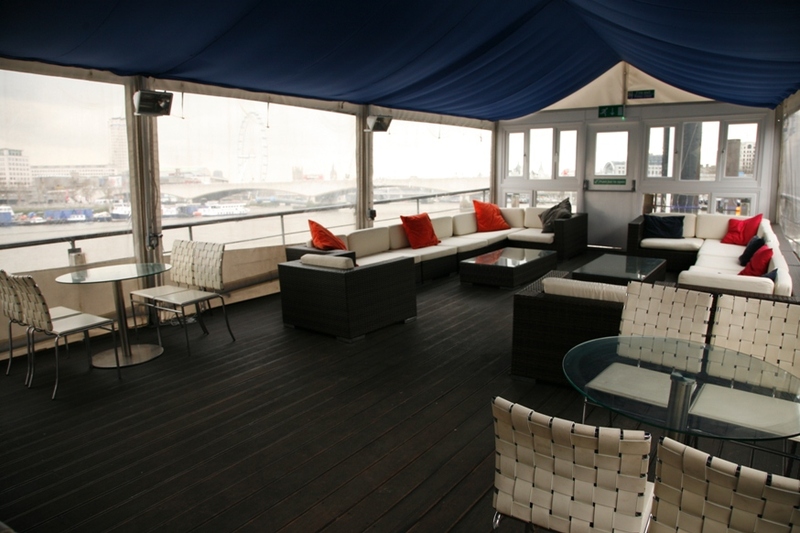 Live music and dancing until late on the Top Deck. 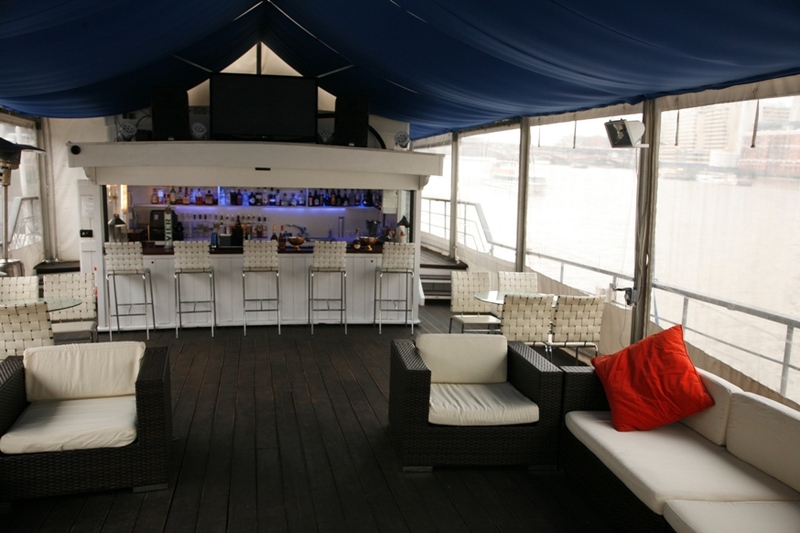 After a two-year renovation costing £500,000, The Yacht London has emerged as one of the city’s most unique wedding and corporate event venues on the Thames and is privately owned and managed. 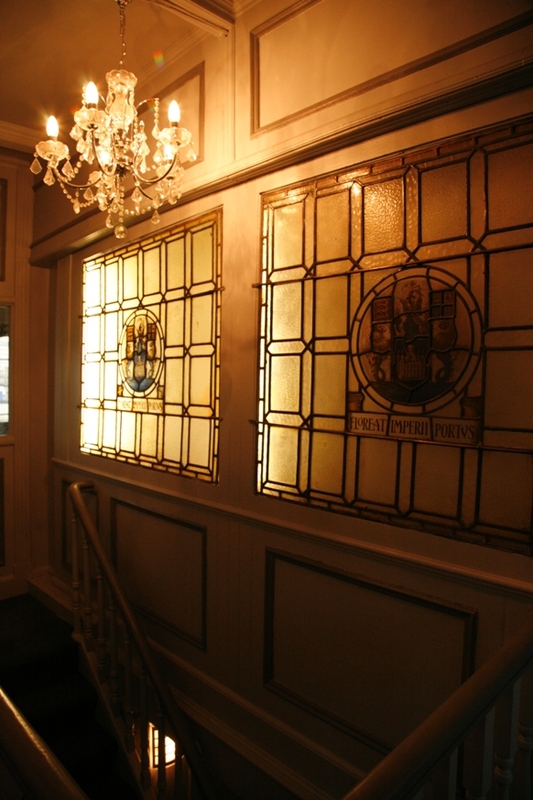 Licensed until 3 am, The Yacht London restaurant and members club also welcomes members of the public daily for lunch or dinner seven days a week (including public holidays) from midday until last orders at 9pm. For information on The Yacht London’s other promotions, private membership benefits (including a range of special interest societies such as cigars, sailing, golf and horse-racing), and private corporate events or civil weddings, please visit The Yacht London website. 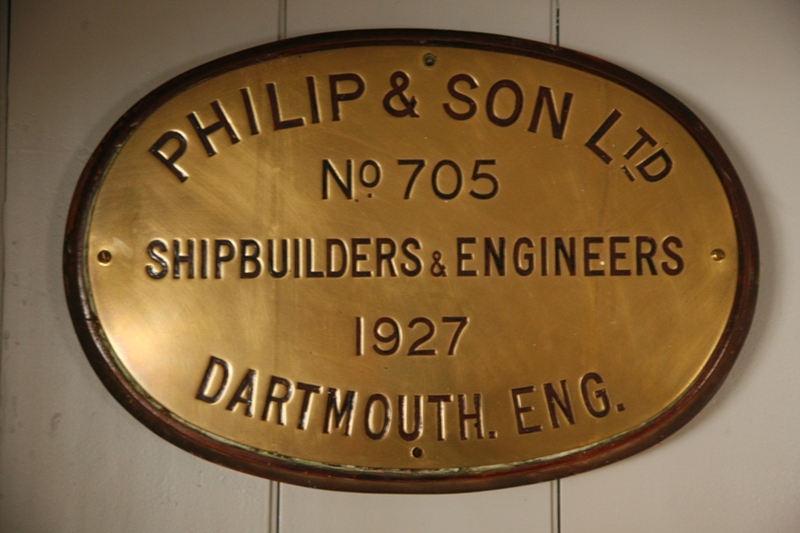 The Yacht, originally the St Katharine, was purchased by the Port of London Authority in 1927 from Philip and Son Ltd of Dartmouth for the princely sum of £21,512. She was employed on survey and inspection work until the outbreak of war in 1939 when she was taken over by the Admiralty and fitted with a three pounder and twin lewis guns and manned by the Royal Navy Reserve Crew. In November of that year she saw action as guard ship for the Medway Channel in the Thames Estuary. Enemy aircraft attempting to drop parachute mines into the river were driven off by the St Katharine’s fire – she thus holds the distinction of being the first vessel to engage the enemy in the Port of London in World War II. In 1946 she was released back to the Port of London Authority and, following a complete refit in Southampton, returned to service and became a cruise ship for visiting VIP’s welcoming distinguished guests including the Queen Mother, Prince Philip, King Faisal of Saudi Arabia, Clement Attlee, Admiral Lord Louis Mountbatten, Benazir Bhutto and former Soviet Prime Ministers Malenkov and Brezhnev. Her Majesty Queen Elizabeth II herself visited the Yacht in 1949 and subsequently ten years later. 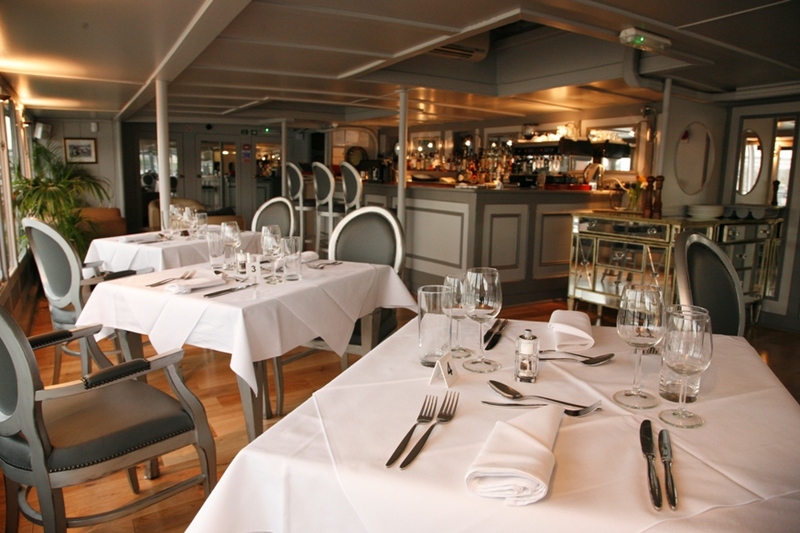 In 1971 the St Katharine was sold to Robins (Marine) Ltd to be redeployed as a floating restaurant and after careful restoration, in close consultation with English Heritage and PLA Archivists, has been restored to her former glory retaining many of her original features from the Art Deco era reworked with a contemporary design twist. 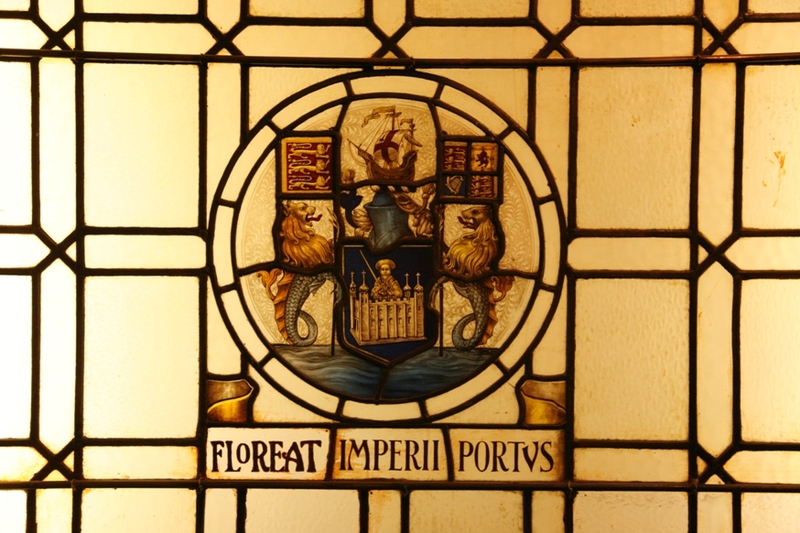 One such feature is a stained glass window with the Port of London crest and motto “Floreat Imperii Purtvs” – Let the Imperial Port Flourish – which is proudly displayed at the heart of the vessel.